Cleber offers a powerful, flexible and modular hardware and software platform for broadcast operators, where customers can install up to six boards with no limitations in terms of position. Based on a Linux embedded OS, Cleber detects the presence of the boards and shows the related control interface to the user, either through web GUI and Touchscreen TFT display. Both AC and DC power supplies option are provided, as well as redundant configurations. The CU-01 is the optional board able to manage single or redundant SSPA and SSPB of ESSPx series. Through serial RS-485/RS-422/RS232 connection it may acquire measurements from the amplifiers/BUC and set configuration parameters, as well as 1:1 redundancy management, driving the waveguide switch. 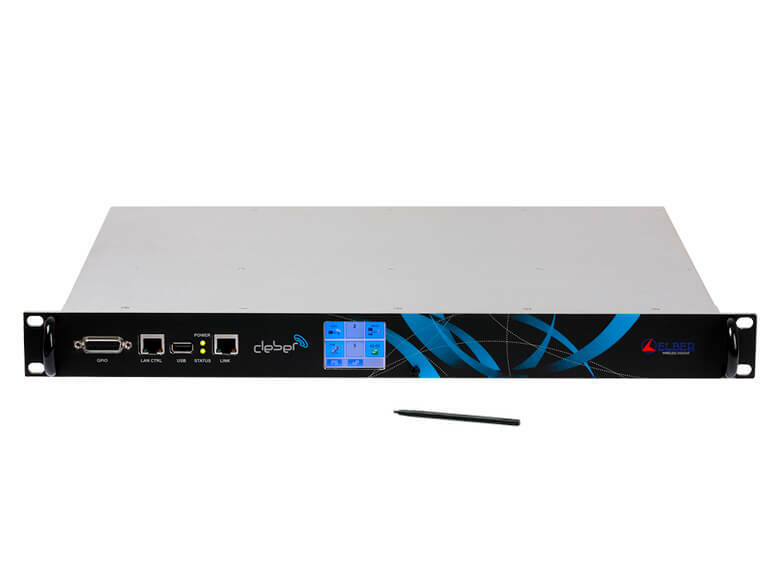 Every parameters can be easily checked and modified either through front panel TFT display touchscreen and via Ethernet connection (http native web pages and SNMP protocol). Thanks to embedded Linux OS, specific applications can be developed for customers.